Together the Harrisonburg-Rockingham Emergency Communications Center (HRECC), Harrisonburg Fire Department, Harrisonburg Police Department, Rockingham County Sheriff's Office, and the Harrisonburg Rescue Squad comprise Harrisonburg's Emergency Services and work to ensure the public safety of Harrisonburg citizens. The Harrisonburg-Rockingham Emergency Communications Center receives emergency calls and dispatches safety services. The Harrisonburg Fire Department serves the public by protecting them from loss of life and damage to property through fire prevention and fire suppression activities. 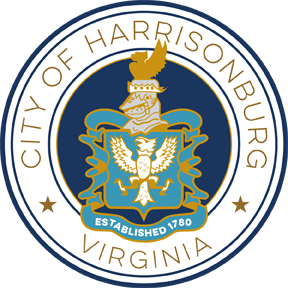 The Harrisonburg Police Department provides police services in the most efficient and ethical manner possible in order to prevent crime and maintain order while affording dignity and respect to every individual. The Rockingham County Sheriff’s Office is a full service, fully accredited law enforcement agency serving Rockingham County, the independent City of Harrisonburg and the incorporated towns of Bridgewater, Broadway, Dayton, Elkton, Grottoes, Mt. Crawford and Timberville. The Harrisonburg Rescue Squad is an all-volunteer organization serving the City of Harrisonburg and parts of Rockingham County. The services they provide include emergency care on basic and advanced support levels, heavy and light duty vehicle rescue, and specialized technical rescue. Learn about the Harrisonburg-Rockingham Emergency Alert - If you live OR work in the City of Harrisonburg or Rockingham County you can now register for this FREE notification system which sends alerts about emergency-related events or life-threatening weather events such as a tornado or flash flood warning.